Why is it so hard to do new stuff? « Is there a cloud hanging over the cloud? Today, we all need to innovate. You can’t just do what you’ve always done, you have to come up with new products and services, solve problems in a new way, create new ways of marketing your business, even re-invent yourself. We all know this. We also know it’s really hard. Often we tell ourselves we’re just not creative. This is nonsense. Sometimes we tell ourselves we are too stuck in our ways. This is nearer the truth but still wrong. Even if we are willing to ‘get outside our comfort zone’ and embrace new stuff, even if we have some ideas how to do it, we still stay stuck where we are. Damn, it’s really, really hard! So then we tell ourselves we are useless. Which is utter nonsense. 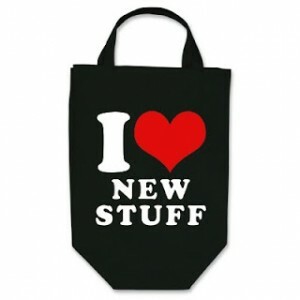 The issue is that doing ‘new stuff’ is completely different from doing ‘the usual stuff’. It’s a totally different approach requiring a totally different mindset. We have all been schooled in how to get stuff done. “Plan your work and work your plan”. We execute our plans every day and all day, whether that’s the ‘To Do’ list of a busy parent or the complex project plan of the company building the Olympic Stadium. We’re bloody good at it, we have a clear and ruthless focus on our objectives and we reach them with a measured and relentless progress (yeah, well, that’s the ideal, anyway). But new stuff is fundamentally different. With new stuff, you don’t know what the objective is, other than in vague and broad terms like “I need to have some new services in my portfolio” or “I need to expand into a new market”. In fact, quite often, you start off not knowing anything. How do you measure your progress when you don’t know where you are going, or how you are going to get there? Steve Blank draws the distinction between ‘Search’ and ‘Execution’ in his model of Customer Development. At the beginning, you are searching for the answer, you are looking for the product, the customer, the need, the market. The purpose is to learn and experiment, and find out what works. So what’s important is to measure how much you are learning and how many experiments you are doing. That shows progress. Although the outcome may be that you abandon the idea and produce nothing. But that IS a result. As Thomas Edison said, “I have not failed. I’ve just found 1000 ways that won’t work”. So, on the one hand we are dealing with a known and defined objective, proven and well-known methodologies, clear and structured metrics and prior experience. This is what we are all trained to do, it’s a linear process and we can see how we are progressing. On the other hand we have little idea what the outcome will be or when we will achieve it, there are no proscribed approached or methodologies, there are no clear measurements and we’ve never done it quite like this before. It is a non-linear process (in fact, it wanders about all over the place and goes back to the beginning several times) and we don’t really know how we are getting on. Apples and oranges. And if you judge the apples by how orange they look, you are doomed to failure. And considerable frustration. (And some serious pudding disappointments). The good news is that you can learn how to do ‘Search’ just as proficiently as you do ‘Execution’. The key thing is to have the awareness to recognise which you are doing so that you are applying the correct mindset, approaches and measurements. It’s not hard to do new stuff. But it IS different. This entry was posted in Uncategorized and tagged Creativity, Customer Development, Innovation, Lean Startup, Mindset, Startups. Bookmark the permalink. Post a comment or leave a trackback: Trackback URL.